Alright everyone, it's that time of the month... Group Break sign-ups are LIVE!!!! This month we've got 4 boxes of great products that total at least 11 hits!!! 2006 UD Ovation - a favorite of mine, at least 3 hits and featuring 6 serial inserts per box! Any international cards will be given to either the team that drafted/signed that player originally, or randomized amongst all stacks if they never made it to MLB. 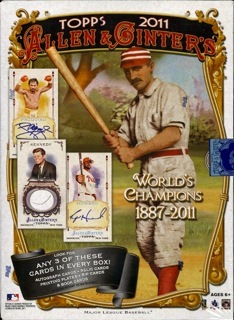 2011 Allen and Ginter - 3 more hits, lots of possibilities... this break will be a bit different as I'll sell the "non-baseball" cards as a separate 16th slot all on it's own specifically for these and any other non-baseball cards. 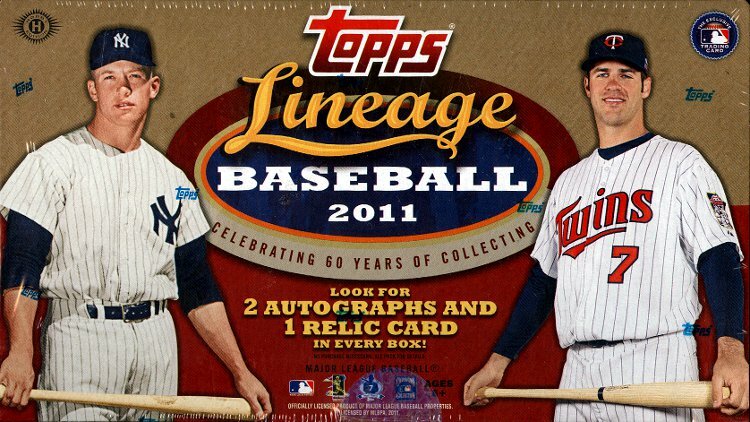 2011 Topps Lineage - Three hits here as well, with a least 1 on-card auto, a total of 2 autos and a relic card. Some people love this set, some hate it. I thought it was somewhere between those two extremes. 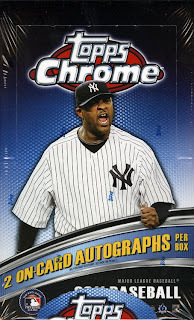 2011 Topps Chrome - One of my favorite Chrome sets. Two autographs per box and we have a chance at a Team USA redemption. If we do pull one of these redemptions, I'll do a randomization of all slots (excluding the non-baseball) who go hit-less as long as there are at least 5 hitless slots, and distribute the 5 cards to those participants once it's redeemed and mailed to me. If there are less than 5 hitless slots then I will randomize the unredeemed card amongst those slots who didn't get a hit. Alright, those are the boxes and parameters. Here is the answer to the question you're all asking: $16 for a two team slot! Any additional slots are $14 each. International will be $19 per slot, $17 for any additional slots. The Non-Baseball slot will be $10, $12 International, or $8 as your second slot, $10 International as your second slot. Claim your team via COMMENT below. Please do not e-mail me directly but leave a comment with the team you want to claim. First to claim gets the team by the time stamp on the comment. I will take the non baseball as well if possible. Well, crap. Stupid phone, lol. Damn - you guys snagged that non-baseball. You know I want my Chisox. Mets again for me. Money on the way. Phillies please. Birthday present to myself!! I can haz Blue Jays?? Bobby at my LCS takes the Royals. Signups are closed!